“Amiable lunacy.” This was George Orwell’s perfect description of Edward Lear’s poetry. Writing in the mid-nineteenth century, Lear single-handedly invented the nonsense genre. He began with absurdist limericks, illustrated with his own simple, sometimes surreal, line drawings, and graduated to his longer story poems, of which The Owl and the Pussycat is the best known. Along the way, Lear invented bizarre characters, imaginary lands, and made-up words. A great traveler himself, Lear sent his characters sailing off to the great Gromboolian plain or the hills of the Chankly Bore or the land where the bong-tree grows – place names that embody the exotic. Of his many neologisms, runcible appeared to be his favorite: he used it repeatedly, as in runcible cat, runcible raven, runcible wall, runcible hat, runcible goose. 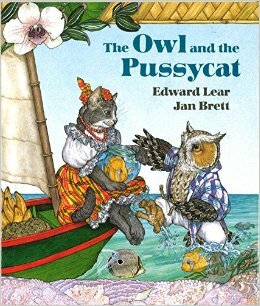 The owl and the pussycat use a runcible spoon to eat their mince and quince, a utensil that made its way into the dictionary as a pronged spoon (though Lear’s illustration shows it as a ladle). Lear suffered from melancholia, a tone that suffuses some of his poems, especially those that describe lost love, such as The Dong With a Luminous Nose or The Courtship of the Yonghy-Bonghy-Bo. 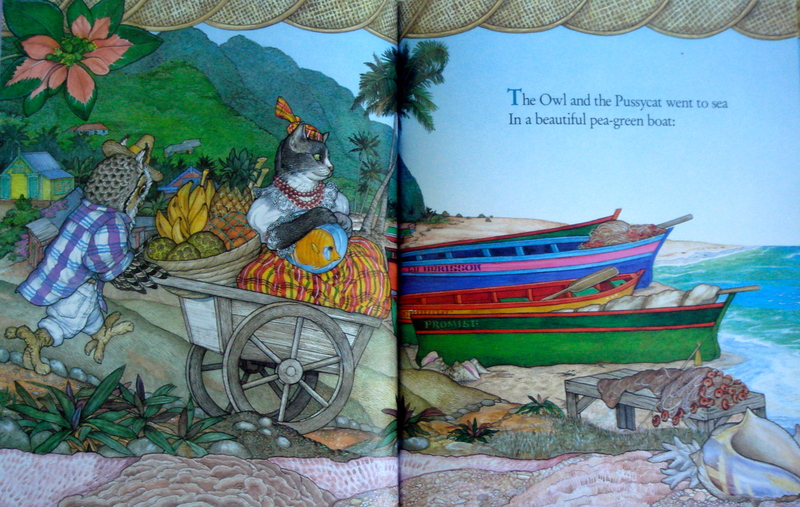 But this is not the case for The Owl and the Pussycat, a lively voyage of courtship between an unlikely pair. 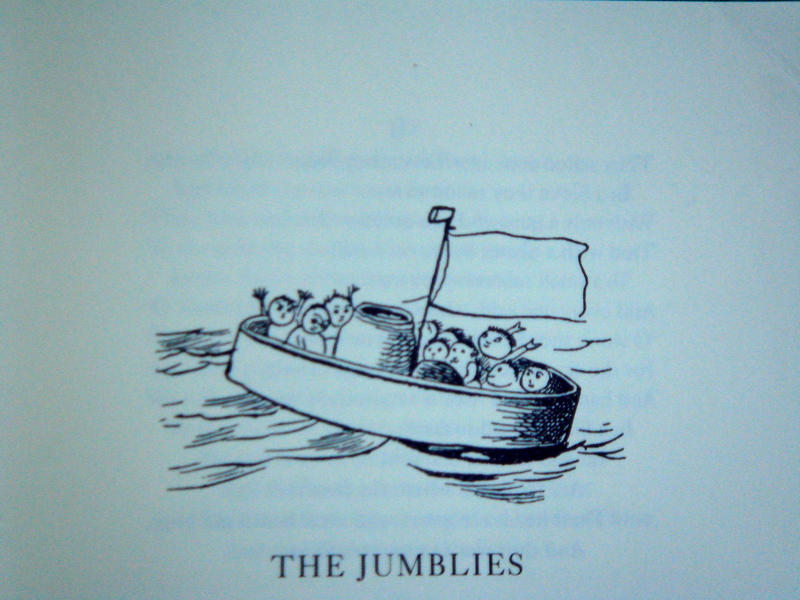 Nor is it the case for another of the greats, The Jumblies, a journey poem to an earthly paradise and back. For richness of whimsy, fantasy, language, and rhythm in the nonsense realm, Lear had no equal. Lear’s pen drawings may appear naïve, but he was actually an accomplished artist. He published a highly acclaimed folio of parrots when he was only 19 and later became known for his landscapes depicting distant lands. It was on the basis of his natural history and landscape paintings that Queen Victoria sought him out for drawing lessons. 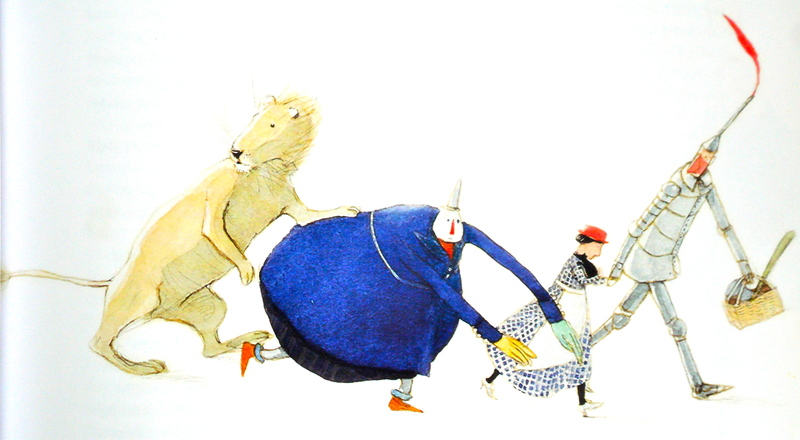 For contemporary illustrations, seek out the edition by Jan Brett. Her detailed colorful paintings are set in the Caribbean and are lush with tropical flowers and fish.